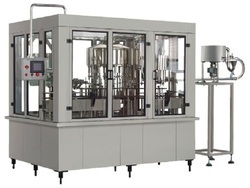 Allpack Engineers have designed and developed gained experience in the field of manufacturing and supplying premium quality and highly reliable Packaged Drinking Water Bottling Plant, Semi Automatic Water Filling Machine, Mineral Water Packing Machine, Water Bottling Plants based on the modern technology. 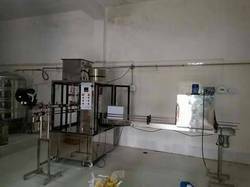 Allpack Engineers has successfully expanded its business in market owing to the offered elevated quality array of Water Bottling Plant. The offered range of mineral water bottle filling machines is utilized in various industrial sectors such as pharmaceutical, cosmetic and food. Moreover, the offered range of mineral water bottle filling machines is known for its advanced construction, steady performance, easy operation and speed maintenance. Clients can avail this machine from us at market leading prices. 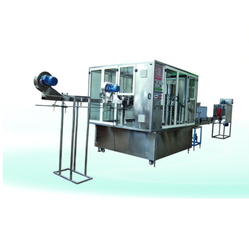 We are offering Automatic Bottle Rinsing Filling Capping Machine to our clients.We can use this machine to fill mineral water, so we can call it water bottle filling machine. In adherence to the set industry standards, our provided machine is precisely manufactured using high-grade components and latest technology. Owing to its long functional life and easy maintenance features, this machine is widely appreciated by our precious clients. Moreover, to ensure the hassle-free operations, the offered machine is stringently tested by our experienced quality experts against several quality parameters. 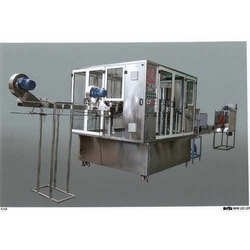 We are offering Automatic Rinsing Filling Capping Machine to our clients. Allpack Engineers is leading manufacturer for mineral water projects in Ahmedabad Gujarat.we can provide this machine with 20 Bottle per minute to 120 Bottles per minute speed. our technical team is master to serve better training and service to our favorable clients.This machine is usable to fill 200 ml to 2000 ml water bottles in common machine. Easy to install and operate this machine. No any skilled operator required. Easy to change from 200 to 1000 Ml. We offer 200 ml Mineral Water Bottle Filling Machine. 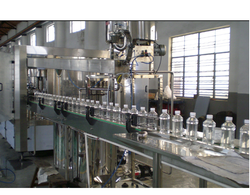 200ml Mineral Water Bottle Filling Machine is continuous rotary filler. 200ml Mineral Water Bottle Filling Machine speed start with 13 bottles per minute to 24 bottles per minute. We offer plastic water bottle filling machine. plastic water bottle filling machine run on rotary filling principal. plastic water bottle filling machine is use for 200ml to 2 liter water bottle. Plastic Water Bottle Filling Machine offered comprise system adopting latest technology based pneumatic components. Bottle Size (Litre) 0.200 to 1.000 Lit. Being an honorable organization, we are offering an exclusive ISI Consultant for Mineral Water Plant. For the production of this mineral water plant, our professionals make use of the supreme grade material and sophisticated technology. 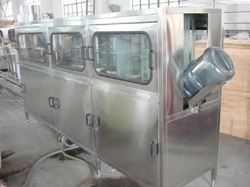 Additionally, this mineral water plant is examined at the quality testing unit for ensuring its performance. 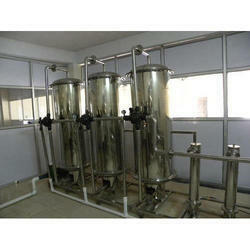 Offered mineral water plant is highly demanded in various places & provided at various customized options.